Tree at Flander's Ranch, San Geronimo Valley. Details to the tree and grass added this afternoon. 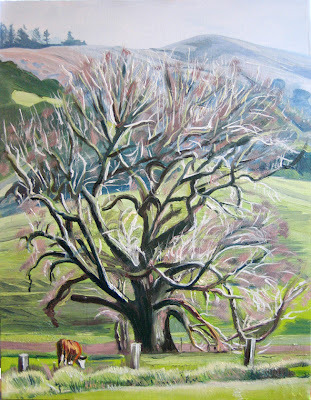 I would like to do another painting with this same scene, but a panoramic view that includes the rolling hills beside the tree. I would like to work out some details in the tree that I did not put in this painting, including crows in the tree branches.